The meeting, which got underway around 6:40 PM, saw all 11 elected Members present, according to some three of our newsroom’s senior sources who attended the meeting. It turned out to be a venting session by the NDP supporters. 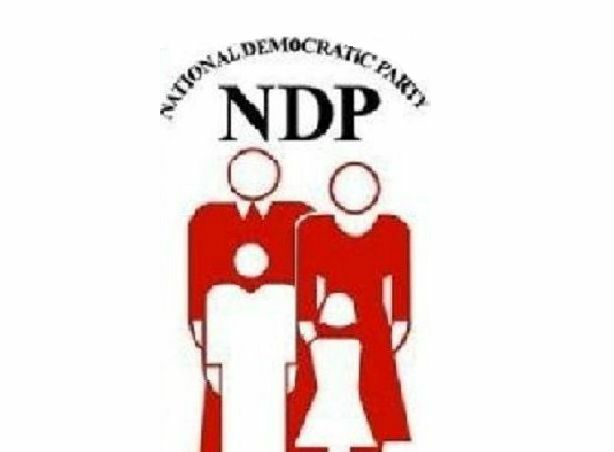 Many supporters felt that they have not been treated right by the party, while others claimed the ruling NDP has not kept faith with the people. The meeting got heated for a few moments where one supporter "put some bad words" under some of the Ministers, according to one senior source. 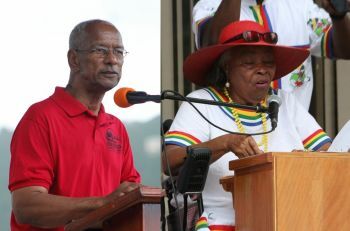 The young people at the meeting, who are not necessarily supporting the party, according to one of the youths, but were there in their capacity as 'Youths for Walwyn' also mentioned that they do not see the other Ministers of Government but only the Minister for Education and Culture who has kept in touch with them. Other topics discussed were the issues of leadership of the party, the governor using his reserved powers for the first time in the Virgin Islands (VI) history- Sec 103 (b) of the Constitution- to take money from the Treasury and deciding who gets it and the amount, along with the need for the party to better communicate with the public. Many NDP supporters expressed the need to start looking for new Leadership for the Party, in other words replacing the current Leader and Party President 73- Year old Dr The Honourable D. Orlando Smith (AL). It was also expressed that the goal is to make a decision on the leadership by year end. Also in attendance was party spokeswoman and passionate supporter, former Legislator Mrs Eileene L. Parsons OBE. It is reported that she agreed with much of the contributions on the way the government is behaving and treating its supporters and she made clear that she stood by her letter, first reported by this news site. In her letter dated November 28, 2016 to the 11 elected NDP Members, Mrs Parsons spoke to the poor leadership of the party, the sexism- saying it was a "man thing"- and calling for Premier Smith to give up the Ministry of Finance to Minister for Health and Social Development Hon Ronnie W. Skelton (AL). While Elected Members were reluctant to speak as they told the party members they were there to listen, when they did speak most elected Members did so briefly, many agreeing with what was said in the room, along with even apologising to party faithfuls for how things had gone. The NDP, now in its second term [2011-current], has come under fire from the public, the media, civil society and its supporters for the poor management of the Territory's finances, the allegation of corruption, leaving the country broke, conflict of interest, and their divisive and bullish approach to politics in the Virgin Islands, as told by Leader of the Opposition Hon Andrew A. Fahie (R1). This sorry excuse of a NDP-led Government will forever be remembered as the party that was in it only for themselves and the rich and powerful. Im a memeber for years and im brokes, but i would support NDP ALL THE WAY...........VIP telling people negatives and its not a good thing when i know better. Why do voters have such a hard time understanding this? The Party and its donors come first. Everyone else is expendable. Looks like a bad episode of The Apprentice (redundant, I know), where one or both of the teams are running around completely unfocused and disorganized and thoroughly embarrassing themselves for all to see. I'm perusing the government. I'm not seeing a leader.. Leadership is an issue. I Ain seeing non in the government better than Doc...They all are self motivated, self interest... Leadership is compassion, knowing when to be strong, when to admit you are wrong, How to prioritize, the ability to say "No" to your friends, family and supporters when "No" is right and best answer...The ability to negotiate and come out the winner.....We need a real leader. Hope we find one soon, or we Doom. Why are these Youths for Walwyn? Are they looking for a dictator? Are they some of the victims of his dumbed down education? Kedrick needs work to do for the people's money. Myron would even work harder in health. Make mark a back bencher so he won't get his hand on money. The surgeon can stay where he is. Don,t see Ronnie doing any better he had it before and it resulted in their loss. Alvara not ready. Think Malon would do well in a ministry. Dr smith think about the suggestion you being given or you are doomed. When is the VIP next meeting? who is going to bridge the gap: the territory need leadership which will stand up for the voters and not the investor simply because they have more money than us: the BVI needs investment but we need business opportunities: can the Virgin Islands Party regroup and be that leadership this country is looking for or should there be another political party??? And with all this noise VIP or no other party will field a slate that can come close to NDP. Rewind to 2013 and we had this same discussion. Myron will be the new leader and despite all the chatter the youth will take him over the top. He was raked over the coals last election and still got 5777 votes, first time anyone ever bested Dr Smith. No one in that party is good, all for self, rob the country blind.. Poverty BVIs. It will not matter if there is new leadership or change in internal portfolio. The characters are flawed like rotten apples. NDP, an embarrassment to the meaning of good governance. The governor did not shame the BVIs., the NDP did! Governor lock them all up. Education minister, keep him far from leadership, he is a dictator, and tells alternative truth. Where is the Medical School that we paid over 600,000$ For..What did judge Mattis do for 500,000$..Where are the green houses we paid over 10 million dollars for, wow in order to know where we stand today we have to start auditing from 2007.Sorry for those who want to be leaders and have to be Audited..
A total flop means no one at all showed up. If 1 dozen showed up then it was far from a flop. Who was there are who should have been there. It doesn't matter whether cabinet is reshuffled, NONE OF THEM HAVE LEADERSHIP QUALITIES PERIOD. The House of Assembly needs to be dissolved! I agree with Ms. P all the way. I would never vote VIP with FAHIE at its head. FAHIE IS BY FAR WORST THAN NDP LEADERSHIP. OK but funny man will not be the next Premier He will fail because he lacks empathy, and has no ability to compromise. Rid the party of corruption and liars? Will anyone be left in the party? Just look at the History of our economic growth, whoever leads the Party. We are no better off with a new Leader, than the old ones. They still have the old selfish mentality from day one about their pockets. Is it NO wonder why they cannot call themselves the new NDP anymore?